The musical duo, Changes, as has been well documented, was formed by cousins, R. N. Taylor and Nicholas Tesluk in Chicago, Illinois in 1969. They performed often between the years of 1969 and 1975 but then went their separate ways. 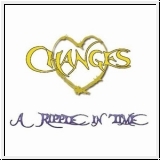 In 1995, Changes was rediscovered and an album entitled Fire of Life was produced from audio tapes recorded in their early years. Though Robert and Nicholas have composed many songs since those early days, there were many songs from that era that hadn't been used for any of their albums. So instead of, once again, digitizing old tapes of these songs, they returned to the studio to record new versions, with enhanced harmonies and instrumental bridges. In addition to the early works, a more recently composed song, entitled "Somewhere in the Night" and two instrumentals, "Paradiso" and "Eldorado" were included on the LP. Now, for the CD version, an introductory piano instrumental entitled "Rippling Waters" bridges the music from the early days to the present. Additionally, a bonus track is included with a reading of Dante's "Paradiso" by actor, Adreano Lami, voiced over Mr. Tesluk's instrumental composition of the same name.